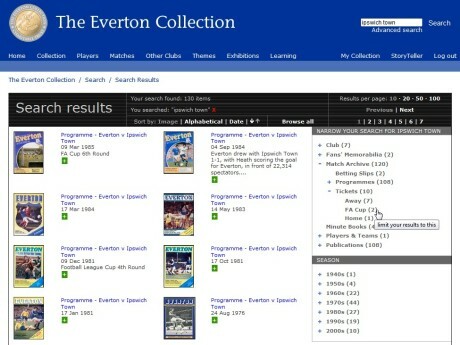 The Everton Collection is a vast collection of memorabilia related to Everton Football Club. See the adjacent Wikipedia link for more information about the collection itself. One of the key features of this project is that the collection data is held in an Axiell CALM database. We exported that CALM data into one of our ISAD(G) compliant ArchiveIndex+ databases and then designed and built the website on top of that. Another exiciting achievement of this project is the digitisation of the text from a whole series of Everton Football Club minute books.